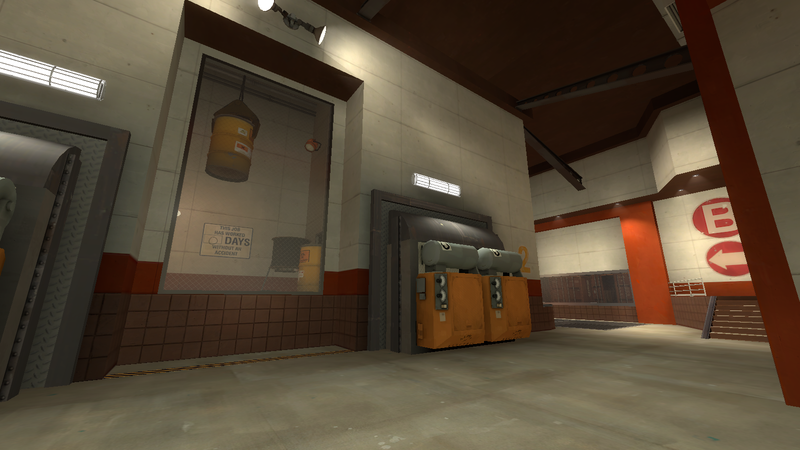 cp_stoneyridge is an attack/defend map, with BLU Team assaulting a RED industrial facility. A very nice job by heyyou, it is a massive map, with many side areas and a consistent atmosphere of a dirty factory/processing plant. Following a very long capture of the first point (36 seconds), a forward spawn opens up for BLU, allowing easy access to the rest of the map. The first point’s openness allows long range classes a wonderful view over the enemy team. Minimal cover for the attackers in their main route forces them to be aware of enemy snipers, and eliminate them. A trench in front of the point gives BLU team an alternative option for assaulting the point. All routes out of the first point converge in an intersection, allowing RED team to easily spam BLU team from a protected position. 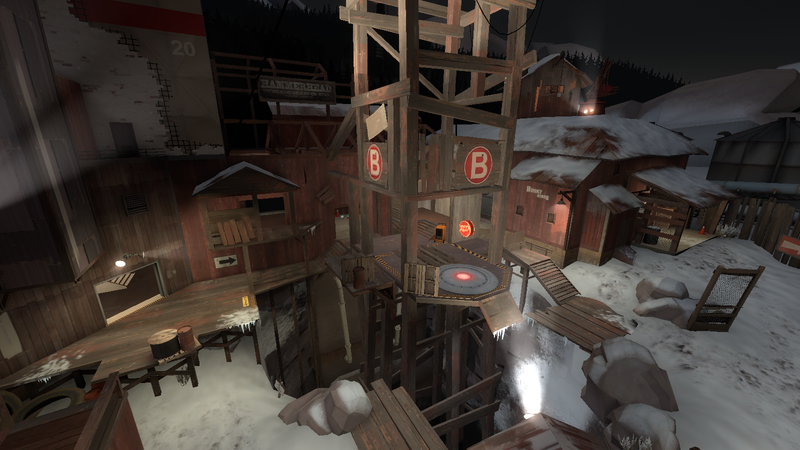 The second point allows wonderful cover to RED team, allowing them to prevent BLU team from climbing the rickety wooden structure that is the last point. A warning to all players; falling from the structure will result in certain death in the expansive pit below. At times confusing, the map’s many side routes and flanking positions force the defenders to spread their forces if they want to deny their opponents the win. 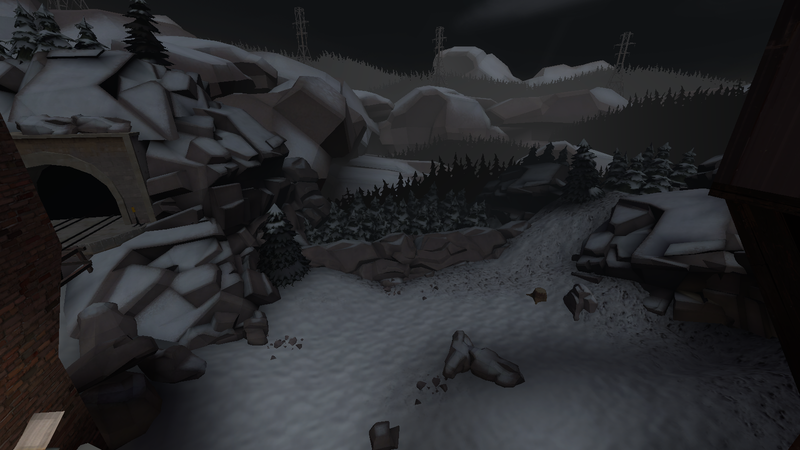 Looking outside the map, the scenery and view add to the alpine, snowy feel of the map. 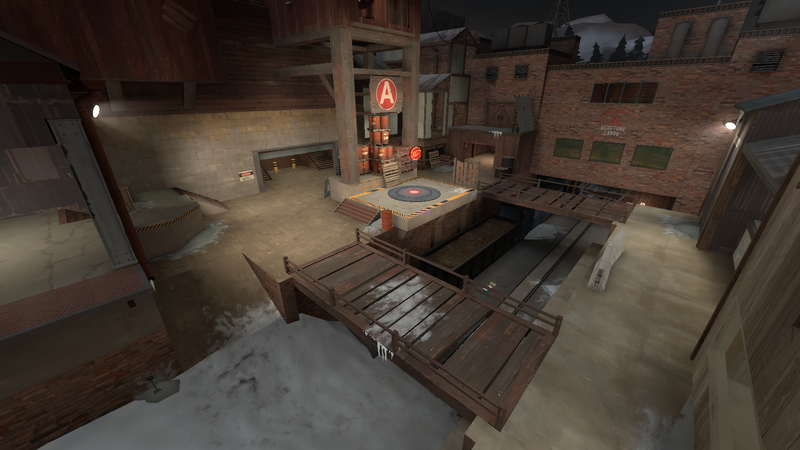 Filled with doodads, many of which I’ve never seen before, the creator of this map, heyyou, obviously put in a massive amount of work in this map. Note, RC2 was just released on the map workshop. We’re excited about the new version. Thanks for the review.